Doctors and scientists have long been aware that certain craniofacial anomalies, especially those lying upon the midline of the face, i.e., eyes, nose, mouth, can often have a syndromic relationship with disturbances in brain development. In other words, they often occur together. Even if you’ve never really thought about it, I’m sure you’ve noticed it nevertheless. Think of the distinctive facial features that characterize someone with Down’s Syndrome with which I’m sure you’re very familiar. This happy little guy above has Down’s and shows many of the indicative features, which include the presence of epicanthal folds across the inner portion of the eye, similar to that seen in Asian populations. It is believed that this feature is most closely linked with the formation of the bridge of the nose and so a broad flat nasal bridge tends to promote epicanthus. He also has upslanting palpebral fissures (the distance and shape between the two corners of the opening of the eye), a poorly defined philtrum,and a thin upper lip. Due to duplication of the critical region on chromosome 21, there are a number of genes typically affected, many of them in the DSCR family of genes. DSCR1 in particular is highly expressed in both brain and heart, the latter explaining the unfortunate heart problems these people often have. Within the brain, it appears that genes which are transcriptionally regulated by the REST transcription factor are atypically repressed, leading to reduced neurogenesis and changes to overall neuronal morphology, including the length of neurites (axons and dendrites) . 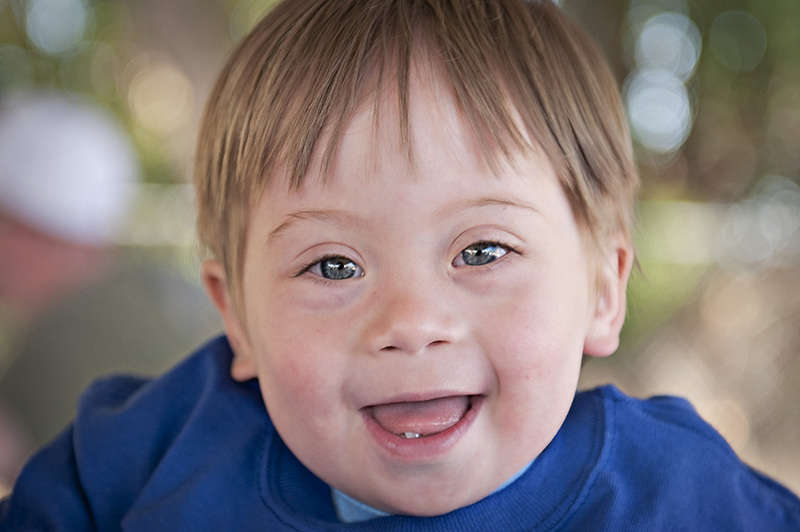 DSCR1 is also produced in the developing face, as indicated by animal studies, and so this is likely the primary link between the intellectual disability and the distinctive facial features seen in Down’s Syndrome . 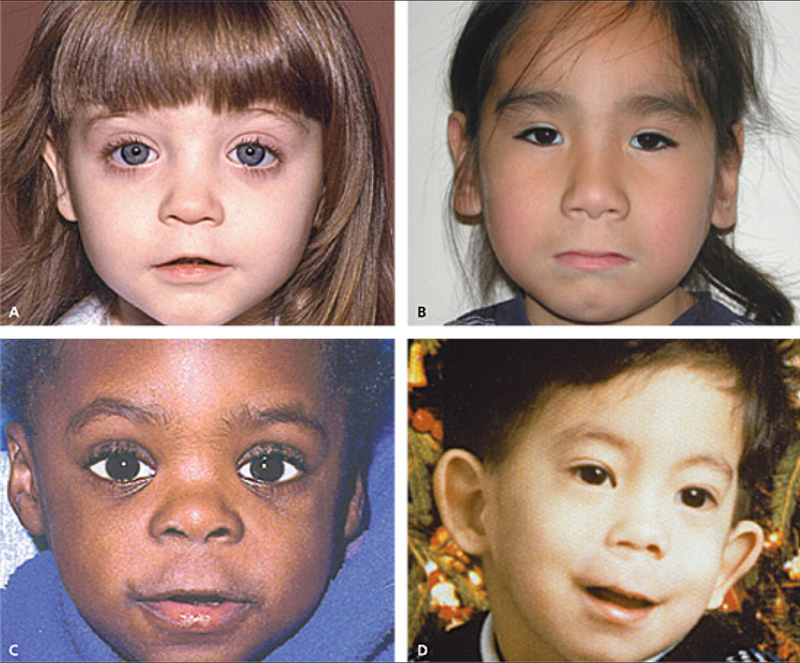 Fetal Alcohol Syndrome (FAS) also often has characteristic facial features, even though it is linked with a prenatal exposure to alcohol and not to a specific genetic mutation (–not that heredity can’t predispose towards susceptibility, however). The range of facial features in FAS share some overlap seen in Down’s, including the presence of epicanthal folds, a flat nasal bridge, a smooth philtrum, and a thin upper lip. People with FAS also often have an upturned nose, a flat midface (cheekbones), an underdeveloped jaw (micrognathia), and while they do have small palpebral fissures, the severity of the “upturn” isn’t usually quite as great as that seen in Down’s. Effects on the prenatal brain likely vary according to frequency, quantity, and timing of alcohol consumption, as well as some hereditary factors. Some studies have reported increased cell death following alcohol exposure . Meanwhile, other studies have indicated that alcohol promotes premature neurogenesis and ultimately leads to poorly differentiated, immature neurons, a finding not entirely dissimilar to what is seen in Down’s . Anyways, I’ve been reviewing a lot of these types of materials lately. Not only is it relevant for a current project I’m doing involving many syndromic forms of autism, which invariably leads me across image after syndromic image, increasing my familiarity with what subtle craniofacial anomalies can look like, but I have a personal investment as well. I was sitting down with my mother the other night, going through old family photographs, when she showed me an old, old picture of her mother when she was about 1.5 years old (circa 1918) which I had never seen before. As some background, my grandmother was disabled. She was plagued by a form of temporal lobe epilepsy that drove her towards vicious mood swings, sometimes even bordering on psychosis. And while her seizures didn’t begin until adulthood– or, at least, weren’t diagnosed until then– she was always considered the “sick one” by her family and was constantly sheltered by her older brothers and sister. According to my mother, she also had considerable learning difficulties. 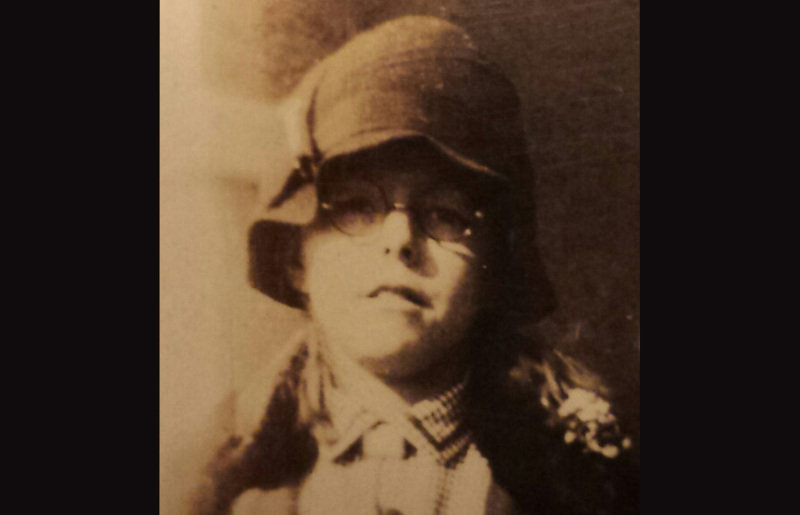 In short, even though they didn’t have the words for it back in the era of World War I, there was something neurodevelopmentally very different about my grandmother. Anyways, looking at my grandmother’s picture, alongside other childhood photos, it seems clear that she had those characteristic epicanthal folds and flat, broad nasal bridge that are seen in a variety of subtle craniofacial conditions. From this perspective, she also seems to have small palpebral fissures, an upturned nose, a downturned mouth, and a thin upper lip. Unlike Down’s and FAS, her philtrum looks well-defined. From other photos, it also appears that she may have had an uncharacteristically high forehead, a feature seen in other conditions. And finally, though it’s not apparent in this photograph but present in later ones, she also had cramped, crooked teeth, which may have suggested some underdevelopment of the jaws. 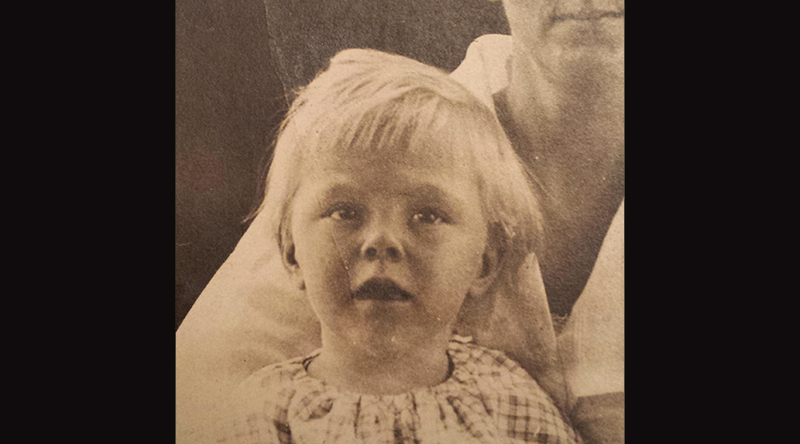 My maternal grandmother, age ~1.5 years. While I’m not big on postmortem diagnosis of people– and I am by no means a diagnostician– it was an Ah-ha! moment for me which helped to potentially explain quite a lot about my grandmother, as well as the difficult childhood my mother experienced because of her, which was quite abusive with all the mood swings. While I realize that the likelihood of ever finding out whether I am correct about my suspicions of my grandmother is slim to nill, it has however reinforced for me a valuable lesson: in spite of the old adage, sometimes the cover can tell you quite a lot about the book inside. 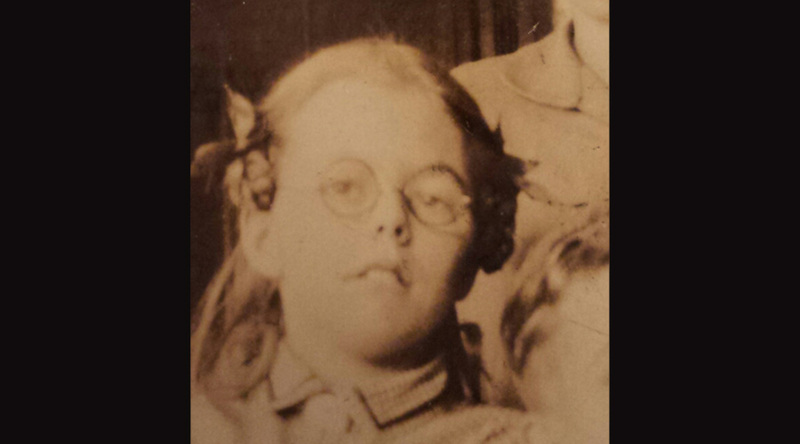 My grandmother, age ~ 10 years. Again, ~10 years of age. 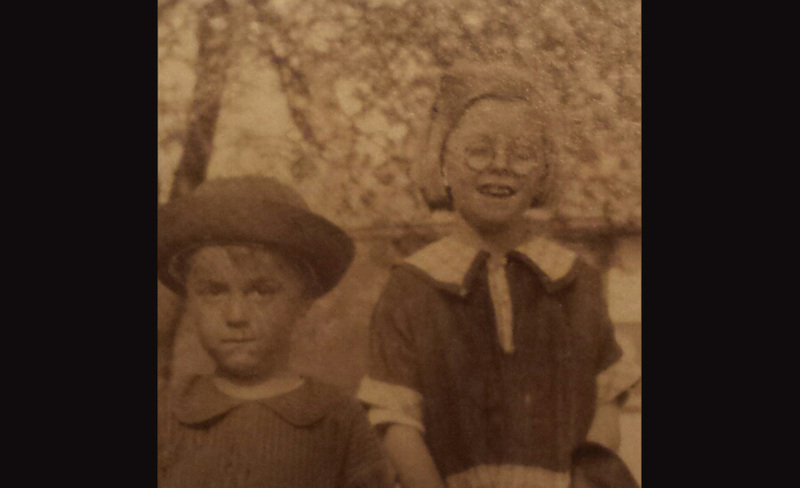 My grandmother (~11 yo) and her younger brother.